Paper Circles. You can pick these up pre-made from target for $4 or make your own from scrap booking paper. A Plastic Pumpkin. 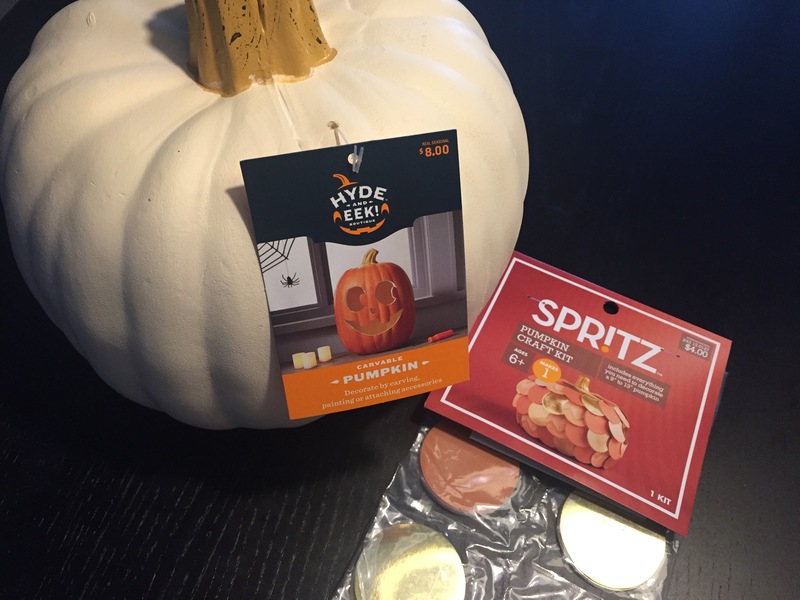 I picked this cutie up from Target for $8, you can pick up smaller pumpkins at the Dollar Tree too. I would strong suggest avoiding Hobby Lobby for your pumpkin needs. The same pumpkin cost me around $25 at Hobby Lobby! WITH A COUPON! STEP #1: Start off by cutting your paper circles from scrap paper or opening up your pre-made circle package & heat up your hot glue gun. Bonus points for those using pumpkin spice scented glue sticks. Didn’t know that these exist? I’ll just leave this right here. STEP #2: Let’s start gluing! Start from the bottom gluing each individual circle. You don’t necessarily have to go in a pattern here, but you can! 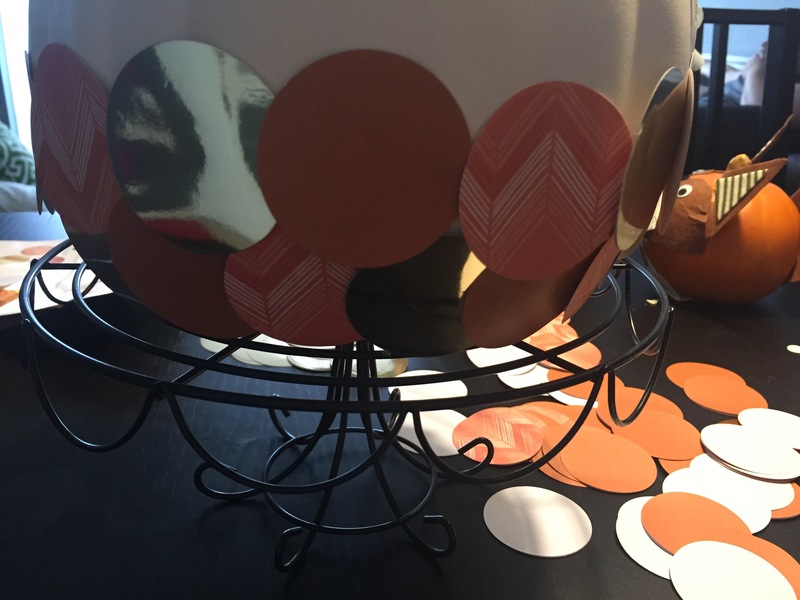 If you are using these peel & stick circles from Target, I left the circle intact and glued the whole thing onto the pumpkin (instead of peeling the white paper off the back) it created a little thicker paper and was easier to glue. Pro Tip: I used a cake stand! Place your pumpkin on the cake stand and gently rotate as you glue. This will create a nice straight line and be much easier to handle. Keep going! Glue each piece on and work your way slowly to the top. AND TA-DA. You get this cute, crafty pumpkin! A superb simple craft project to do this weekend! I’m not entirely sure where I am going to put this cutie, it might make a cute gift for a coworker instead! 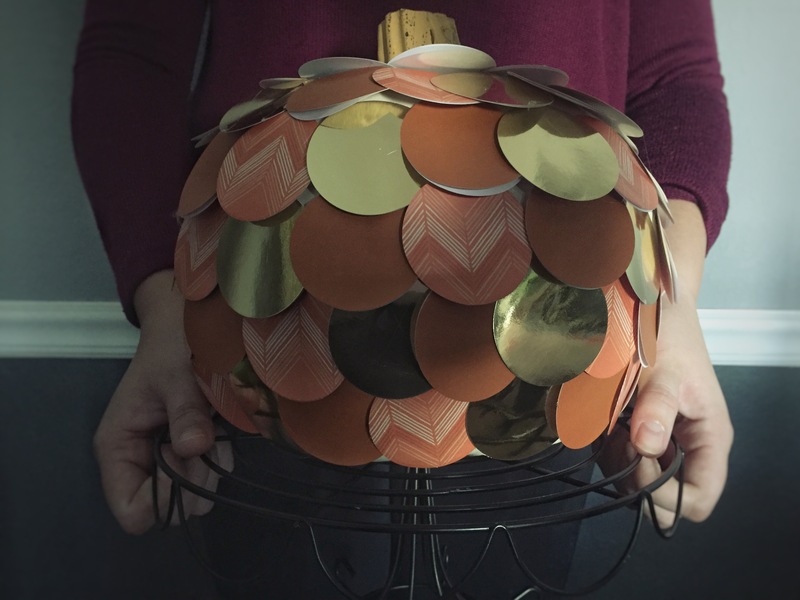 Want to see more Fall craft ideas? Check out my DIY tab and get Craft’n!